If you wish to sell your Marbella property or property anywhere throughout the Costa del Sol, we would be interested in hearing from you. Marbella Direct has been in the Marbella real estate industry for over 30 years, and we have a proven track record when it comes to selling homes on the Costa del Sol. Because of the recent and positive changes within the Marbella property market, now is the best time to sell your property. 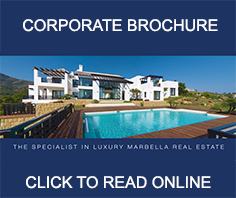 Take a look at our Vendor’s Guide video to selling your property in Marbella below. This step-by-step guide to selling your property starts with listing your property with us. For any additional information please contact us directly at (+34) 952 928 690 or simply fill out the form for your free evaluation. The first step to selling your property!